The BJP today said the ruling grand alliance in Bihar appeared to be on the verge of collapse and claimed that Prime Minister Narendra Modi and Chief Minister Nitish Kumar had a "natural admiration" for each other. The saffron party courted the JD(U) president saying he continues to retain his personal image but is troubled by "corrupt and criminal" antecedents of leaders of his allies, the RJD and the Congress. Its spokesperson G V L Narsimha Rao said, "The coalition in Bihar is riddled with internal contradictions. 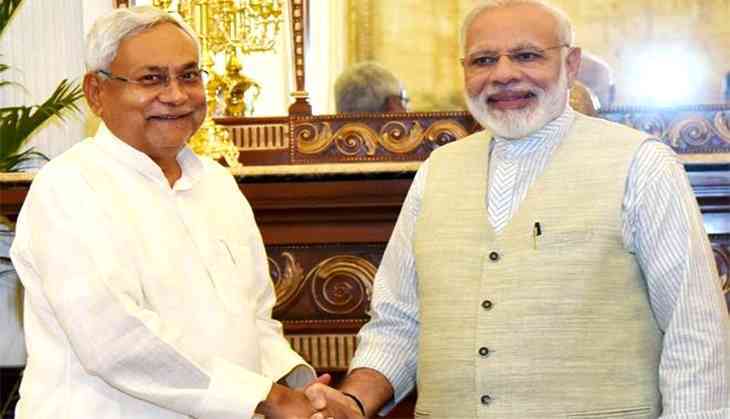 While there is a natural admiration between the prime minister and Nitish Kumar, the open attacks among the alliance partners signal a massive churn." "It appears the alliance is on the verge of a collapse," he added. Even if the grand alliance survived it would be a troubled coalition waiting for only a trigger to fall apart, he added. The BJP's comments came after the JD(U) lashed out at the Congress following Ghulam Nabi Azad's swipe at Kumar, saying those with many principles take different decisions.